The evening kicked off with newcomer Shiima Xion defeating “Omega” Aaron Draven in a match that was so quick-paced that all the photos I took came out too blurry to use. One of the wildest matches of the night featured the return of old-school bad man Tracy Smothers, direct from “Nashville, Italy,” and holding the European Southern Light Heavyweight Title Belt. Smothers was accompanied to the ring by IWA East Coast Super Duper Mega Star Woody Numbers. 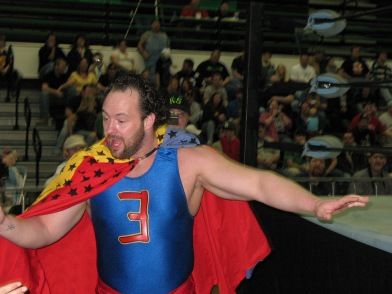 Facing Smothers was a new star making their debut in IWA East Coast……Super Oprah! You might think that with a name like that, Super Oprah would be a transvestite dressed as Oprah Winfrey. Smothers was so traumatized that he required comforting from Woody Numbers. After gathering himself, Smothers challenged Super Oprah to a dance off, for the European Southern Light Heavyweight Title! 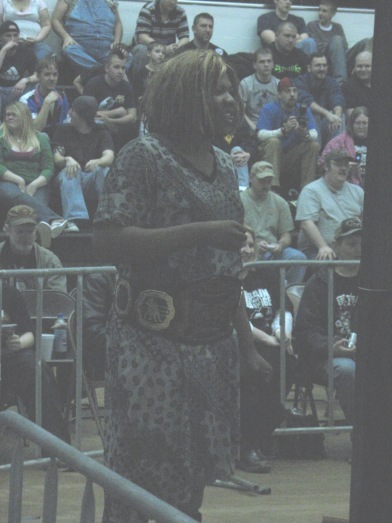 Sadly, smothers could not hope to win the dance-off this night, as Super Oprah proceeded to deliver a stunning lap dance to IWA EC’s senior official “Bad Kitty” Kris Westfall. 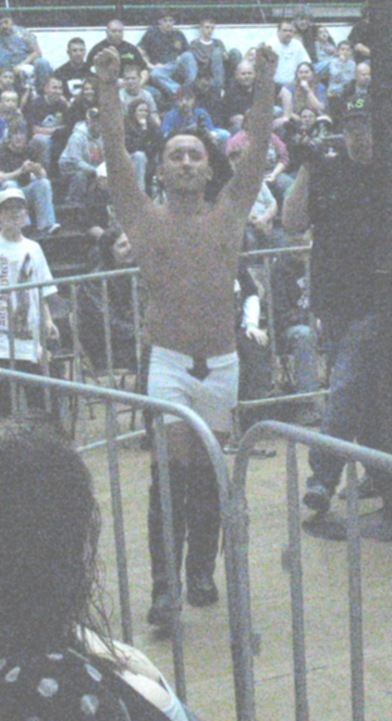 Your new European Southern Light Heavyweight Champion…. Former WWE Superstar Eugene brought his special skills to IWA EC. Eugene was facing the high-flying Geddy Lee doppelganger, Zac Vincent (seen right). 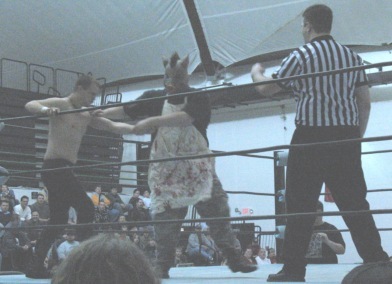 Eugene was a huge hit with the kids in the crowd, and was a real pro, posing for photos in the ring during the intermission and signing autographs for the fans. This was a fast-paced match that saw Vincent winning, but paying for it afterwards, as Eugene “Hulked up” and delivered the leg drop to the delight of the crowd. As I said, Eugene was a real hit with the crowd. 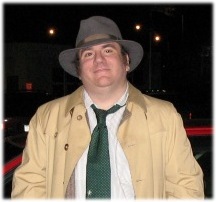 Here he is meeting the fans. Other memorable matches saw Warpig demolishing Cobra. 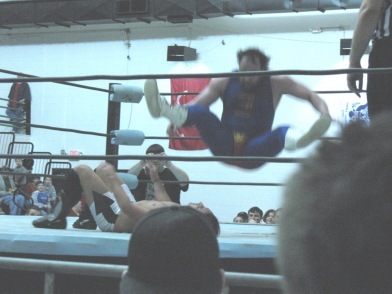 Juggulator pursued Guido Andretti all over the South Charleston Community Center before getting the pin. Brain Damage destroyed Viper in a match that was so bloody that they won’t let me post photos here at thegazz.com. 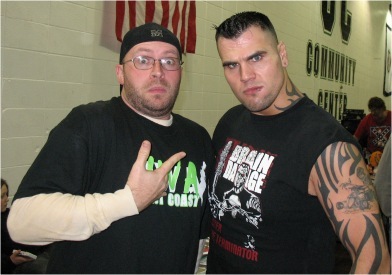 So here’s a photo of Brain Damage with IWA EC announcer Kevin Pauley. Moments later, he left Pauley bleeding, in the fetal position. The main event saw Mad Man Pondo facing Drake Younger in a match where the ropes were removed and replaced with barb-wire. As you can see here, that can be an upleasant situation. Pondo emerged victorious after the two men beat the living crap out of each other. 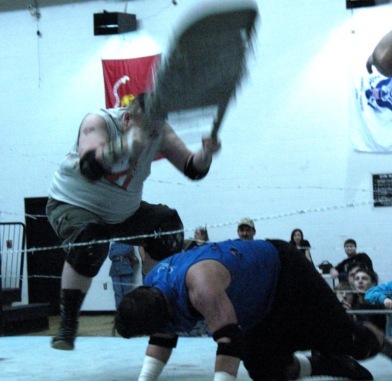 It was another night of memorable mayhem, courtesy of IWA East Coast. Check back with PopCult for information on when this show is released on DVD.